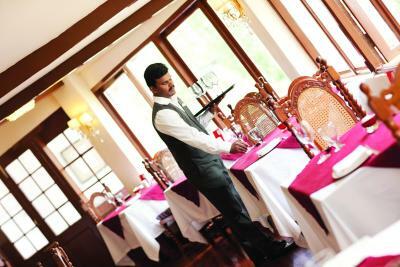 Lock in a great price for The Gateway Hotel Church Road Coonoor – rated 9 by recent guests! The place was good as always. Staff was excellent as always. The rooms need to be better kept for the price paid. Very very beautiful property!! Staff is extremely helpful!! Superb stay!! The Suite rooms were spacious and large. Bathroom with tub was very spacious. Beds were good with clean sheets. The fireplace in the bedroom was good to keep warm. Staff members were courteous and willing to help... the breakfast buffet had a fairly decent spread of food and not lavish. I traveled to Coonoor with my mother and aunt. 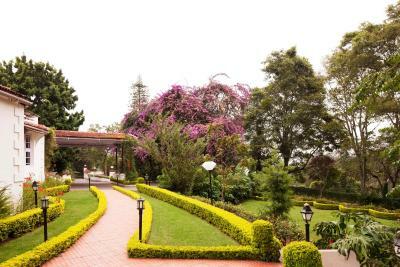 We stayed at the Gateway Coonoor for three nights. The Hotel has a great view, outside of the hustle and bustle of Ooty/Coonoor. It is aptly situated adjacent to one of the oldest churches of Coonoor, All Saints Church, thus offering an insight into the British history of Coonoor. Gateway itself is an old property once owned by the British and now well preserved by the Taj Hotels. The staff at Gateway was extremely hospitable making the stay totally worth it for the price we paid. We were also very happy with the breakfast and other meals we had at the Hotel. All in all, we had a great stay at the Gateway and highly recommend it to anyone travelling to Coonoor. The entire staff from manager to housekeeping staff, everyone was very polite and courteous. 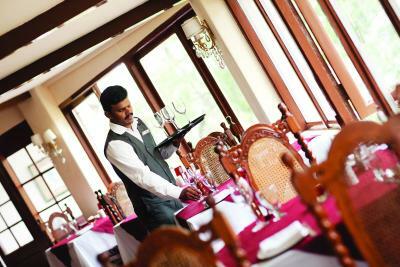 Excellent service by front desk staff and also at the restaurant. You could tell how well-run the Hotel is by looking at the staff interacts with you. Very happy with our experience. Ambiance, food, room comfort, hospitality was all excellent. Staff was very polite. The garden around the hotel was beautiful. Loved the old world feel of the entire place. The lawns and greenery, our rooms and the views were superb. 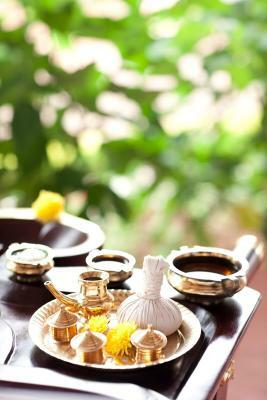 We enjoyed a laidback holiday with massages at the spa. The staff were very helpful with arranging pick up and drop, a hired car for our needs. Loved the entire experience. Excellent location and very quiet place. Very helpful staff and manager Mr Murlidharan. 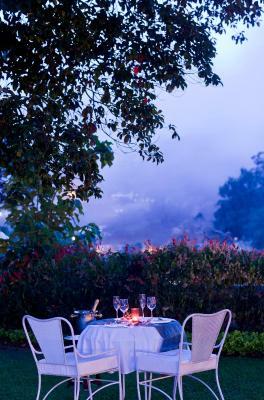 The Gateway Hotel Church Road Coonoor This rating is a reflection of how the property compares to the industry standard when it comes to price, facilities and services available. It's based on a self-evaluation by the property. Use this rating to help choose your stay! 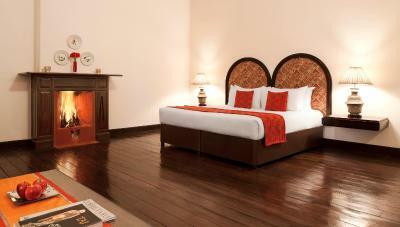 Elegant rooms at The Gateway Hotel Church Road Coonoor come with modern interiors and dark wood furnishings. Each well-appointed room has a flat screen TV, personal safe and an private bathroom with shower. Guests can take a stroll in the garden or work out at the fitness center. Offering sweeping views of the valley and mountains, the Dining Hall offers a variety of international dishes. Featuring British décor and rosewood panels, Hampton Bar serves refreshing beverages. The Gateway Hotel Church Road Coonoor is 0.7 mi from Sims Park and 50 mi from Coimbatore Airport. 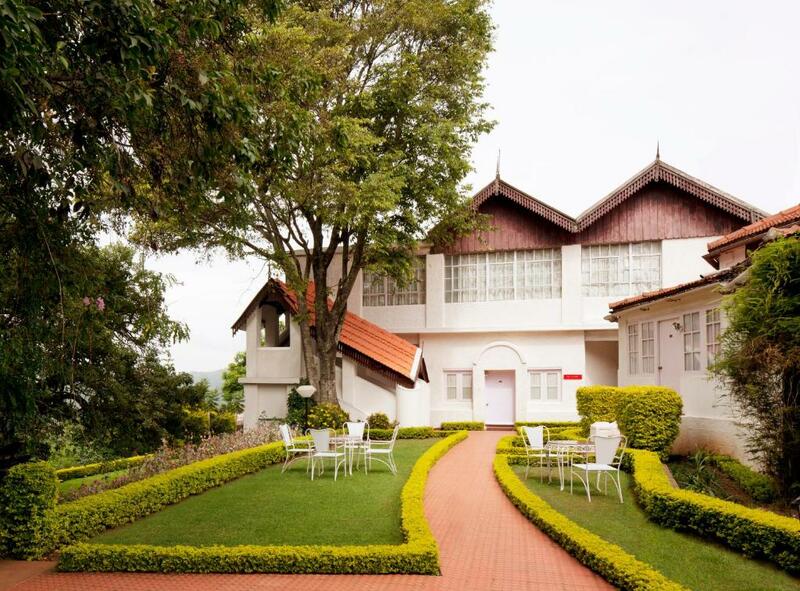 This property also has one of the top-rated locations in Coonoor! Guests are happier about it compared to other properties in the area. 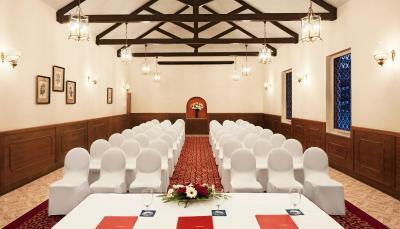 When would you like to stay at The Gateway Hotel Church Road Coonoor? Offering views of the garden, the room features a TV and personal safe. The room features a comfortable seating area, a TV, personal safe and overlooks the pristine lawn. Offering views of the garden, room features a separate seating area, TV and personal safe. 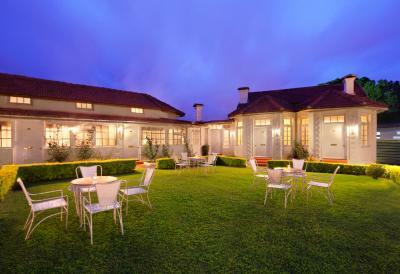 Some rooms overlook the pristine lawn. 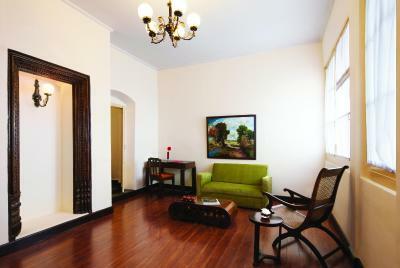 Offering views of the garden, these very spacious rooms feature colonial architecture, a TV and personal safe. This room type includes a spacious seating and living area. Spacious suite features a separate seating area, TV and views of the garden. The room also features an independent living area. 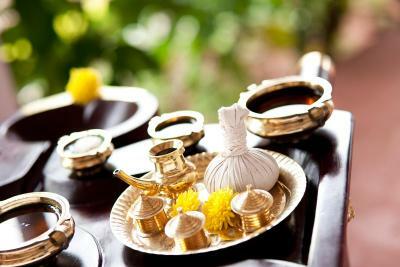 House Rules The Gateway Hotel Church Road Coonoor takes special requests – add in the next step! 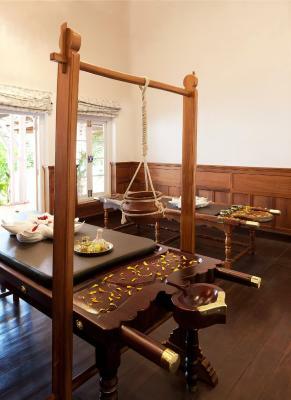 One older child or adult is charged INR 1525 per person per night in an extra bed. The Gateway Hotel Church Road Coonoor accepts these cards and reserves the right to temporarily hold an amount prior to arrival. Please note that for security purpose all Indian guests are required to present a valid photo ID proof (Voter's ID, Driving License, Aadhar Card, any other ID with address approved by the Government of India. A Pan Card is not acceptable). All international guests are required to present a valid passport and visa. For Indian guests, cash settlements of INR 50,000 and above will require a pan card copy during check out. Service could have been better. Facilities (including things to do inside the property, and choice of foods) should be better for the prices they charged. The room was great. Overall, the property was quite attractive - very Old World. Excellent heritage property. Warm and friendly staff. The only place for decent food in the area. Not too much variety in the food menu . Taste just average .best part is the buffet breakfast though !!! Excellant location and very nice staff . excellant property to be in . Rooms were old style which I love, just a little more scrubbing and a decor freshen up. Desk light fell apart, mould on windows. However the staff were fabulously which made up for minor problems. The staff were very curtious, polite, helpful beyond expectations. The condition of the gym . Deserted . Very pleasant staff at check in and also house keeping , putting fireplace, and breakfast and dinner venue. Piano was played very nice during dinner. Check in done by guests seated and welcome was fabulous .scenery was superb . Loved the location and the property itself. 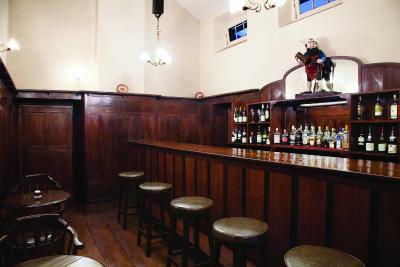 Gives you the true colonial feeling with its charming rooms, bar, dining hall and perfectly kept gardens! The setting is gorgeous with lovely lawns and ancient trees to provide shade. Each room has place to sit out and enjoy the natural beauty, The room was spacious with a variety of seating options, a lovely view, and a very comfortable bed. The bath includes a spacious bathtub which provides a great way to relax and beat the chill. The staff is fantastic. We were very kindly upgraded to a larger room. Taxis were arranged for sightseeing and to our next destination. The place and room were lovelly and quite. The staff was really helpful and kind.